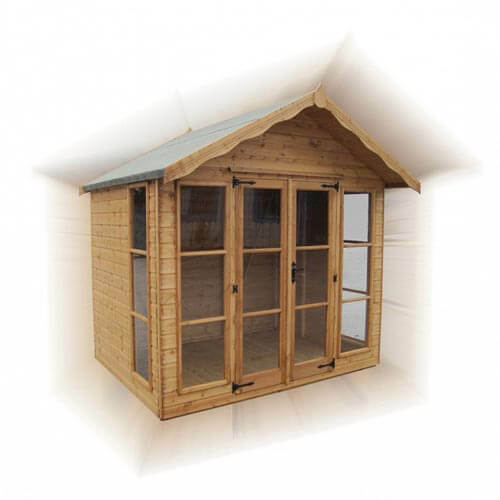 Add a relaxing feel to your garden with the Ascot summerhouse, with an attractive verandah and glass double doors. With front and side full-length windows, you can still enjoy your garden if the weather takes a turn for the worse. With a range of sizes, you can get the right one to compliment your garden, without losing out on looks or build quality. Extra options such as toughened glass, premier cladding and different verandah sizes can give you the most practical option for your garden.